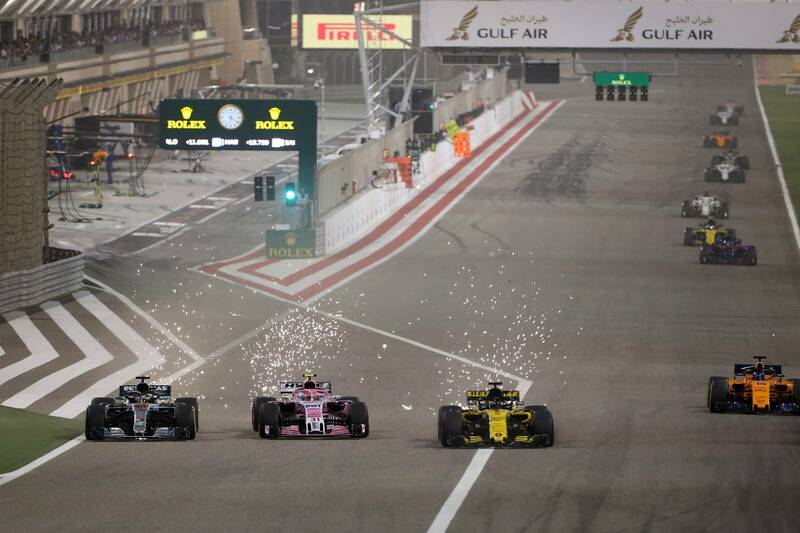 Looking back on the Bahrain Grand Prix weekend and the second race of the new Formula 1 season, Crash.net F1 Editor Luke Smith puts together his driver ratings. While magnificent in the race on Sunday, it took Lewis Hamilton a little while to turn up in Bahrain. He seemed off the boil in practice and, in particular, qualifying, finishing only fourth that meant he had to drop all the way back to ninth after his penalty. A sluggish start saw him drop outside the top 10, only for Hamilton to then fly up the order through the remainder of the race. A Jekyll and Hyde weekend, but came good when it mattered. Bottas needed a good weekend after his Melbourne disappointment, with the importance of a good display only ramped up after Hamilton’s penalty. The Finn came close to the front row on Saturday, and was then excellent in the race, making a good getaway before piling pressure on Vettel at the front. Desperately close to a third F1 win - one more lap may well have been enough. As escape acts go, Sebastian Vettel produced a performance Harry Houdini would have been proud of. After beating teammate Kimi Raikkonen well in qualifying, Vettel looked in control at the front, only for Mercedes to come into contention on the Medium tyre. Ferrari had no choice but to try and send Vettel to the end of the race on the Soft tyres fitted at his first stop. Vettel somehow managed to hold on for 39 laps, soaking up Bottas’ pressure to capture victory. Much as in Australia, Kimi Raikkonen proved in Bahrain the 2018 Ferrari is much more to his liking than some of the team’s recent cars. 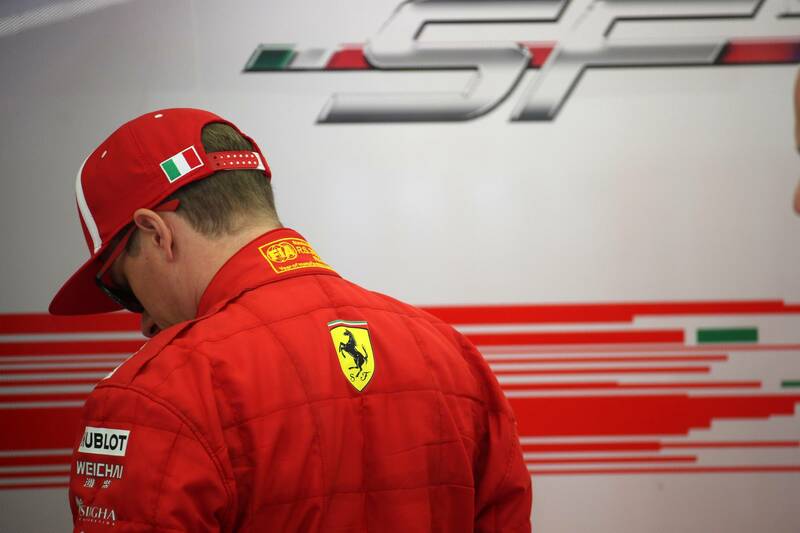 Quick throughout practice, traffic arguably denied Raikkonen pole position as he failed to improve on his second run, but his race proved more difficult. Bottas got the jump at the start and Raikkonen was unable to keep up. His race ended with the unfortunate incident in the pit lane that saw a Ferrari crew member break his leg. A hard weekend to gauge for Ricciardo. Red Bull seemed there or thereabouts in the fight at the front through practice, yet he fell four-tenths adrift in qualifying, finishing P4. Practice simulations had Red Bull only one-tenth of a second per lap off the pace of Ferrari and Mercedes, but we never got to saw it as an electrical issue sidelined Ricciardo on the second lap. Verstappen endured another scruffy weekend in Bahrain that proves there is still some polishing required for F1’s young diamond. He was marginally quicker than Ricciardo in FP2 and FP3, having missed FP1 due to an issue, but his qualifying ended early after a hybrid power spike sent him spinning into the barrier at Turn 3. From P15 on the grid, Verstappen made a good start, only for a bold move on Hamilton to result in contact and a puncture that ultimately forced him to retire. A strange weekend for Perez and Force India. Much as in Australia, the team lacked the outright pace to fight at the front of the midfield, yet Perez still outquaified both McLarens to take P12 on the grid. His race was essentially ended on the opening lap when he was hit by Hartley, leaving his car with damage, but the Mexican nearly fought back into the points. A post-race penalty for passing Hartley on the formation lap meant he was classified 16th. The margins between Esteban Ocon and his teammate were as fine as we’ve come to expect them to be, yet they proved crucial. Ocon managed to reach Q3 and start eighth, but could only recover to P10 on a two-stop strategy, passing Carlos Sainz Jr. with two laps to go. A tough race, but still a decent point to get Force India off the mark in 2018. A pretty poor weekend for Lance Stroll. We weren’t expecting miracles from Williams given its struggles in Melbourne, but to qualify P20 and almost a second off a Q2 spot was a disaster. A flying start saw Stroll rise up to P13 at one point, only for contact with Grosjean to leave him in need of a new front wing. He ultimately crossed the line 16th, just ahead of his teammate. Much the same can be said for Sirotkin as for Stroll: off the pace in qualifying, underwhelming in the race. It was nevertheless his first full F1 race distance, which is something. A really good weekend from Hulkenberg. Renault dropped a little in the pecking order from Melbourne, yet he extracted plenty from the R.S.18 car to qualify eighth and finish sixth, beating the Renault-powered McLarens in decent fashion, as well as managing to stay on the lead lap. As former team Toro Rosso excelled, Carlos Sainz Jr. had a tough weekend in Bahrain as he struggled with the setup and balance on his Renault. Sainz lagged to P10 in Q3 on Saturday before a poor start dropped him to 11th. A two-stop strategy cost him ground compared to the one-stopping midfielders, with a used set of Softs being fitted for the final stint. By the chequered flag, they were 40 laps old, leaving him powerless to stop Ocon nicking the last point for P10 with a couple of laps to go. A stunning weekend all around for Pierre Gasly and Toro Rosso. After getting the new update package first on Friday, he was more comfortable than teammate Hartley for the rest of the weekend. A charge to P6 in qualifying was impressive enough, meaning he started fifth, only to then execute a perfect race and pick up fourth following issues for the two Red Bulls and Raikkonen. A mature and magnificent weekend. While this was Hartley quickest weekend so far in F1, he was unable to reach the lofty heights Gasly could. After only getting the new update package for FP3, Hartley then lost a run in Q1 after hitting a bid, but still managed to qualify 11th, narrowly missing out on Q3. A clumsy incident with Perez at Turn 4 saw him receive a penalty that would have otherwise most likely seen him score his first F1 points. Definite progress, but a missed opportunity. We perhaps expected more of Romain Grosjean in Bahrain given his good record at the circuit and Haas’ decent pace. Setup issues saw him qualify a second slower than Kevin Magnussen in Q1, dropping out in 16th. Good pace in the early part of the race had put Grosjean in contention for points, only for part of his bargeboard to come off, forcing him into a third stop that meant he dropped to 13th in the final classification. Magnussen was sublime throughout the Bahrain weekend, matching Haas’ best-ever finish in F1 by crossing the line fifth. Sure, the team wasn’t leading the midfield this time around, trailing Toro Rosso, but Magnussen fought hard to try and get ahead. Gasly was strong in his defence to keep Magnussen back after the Virtual Safety Car, with the move proving crucial later in the race as he ran just a couple of seconds up the road. Still, Magnussen did all he could, and will be hungry for more points next time out in China. If you’d told Fernando Alonso he’d be fourth in the drivers’ championship after two races pre-Australia, he’d probably have been over the moon. Yet his weekend in Bahrain was a difficult one. Qualifying saw McLaren seriously lack pace, leaving Alonso 13th on the grid just ahead of Vandoorne. The race was better as he made a good start (obviously - it’s Alonso) and ran well on the Mediums, taking a hard-earned seventh-place finish at the flag. Like Alonso, Vandoorne had a tough time of it in qualifying before bouncing back in the race. A poor start saw him drop back to 18th, but the Belgian was able to pick his way up the order, running well on the Mediums through the second half of the race. After his poor start, to only finish 10 seconds back from Alonso at the flag was impressive. This was perhaps the best weekend of Marcus Ericsson’s five-year F1 career. He finished four-tenths clear of teammate Charles Leclerc in qualifying before making a rocket start to run P12 early on. Some strategic magic from Ruth Buscombe on the Sauber pit wall saw the Swede make a one-stopper work wonders, holding on for ninth place at the flag and his first F1 points for two-and-a-half years. A job well done. Charles Leclerc’s tough start to life in F1 continued with another tricky race in Bahrain. After spinning on his final Q1 lap, leaving him P19, any hopes of matching Ericsson’s strategy going out of the window on the opening lap due to a flat spot. Sauber opted to roll the dice and bring Leclerc in early, but the Mediums did not hold up as well as hoped, forcing him into a second stop. After penalties, Leclerc was classified 12th, but will be disappointed it was Ericsson and not himself who scored Sauber’s first points of the year.